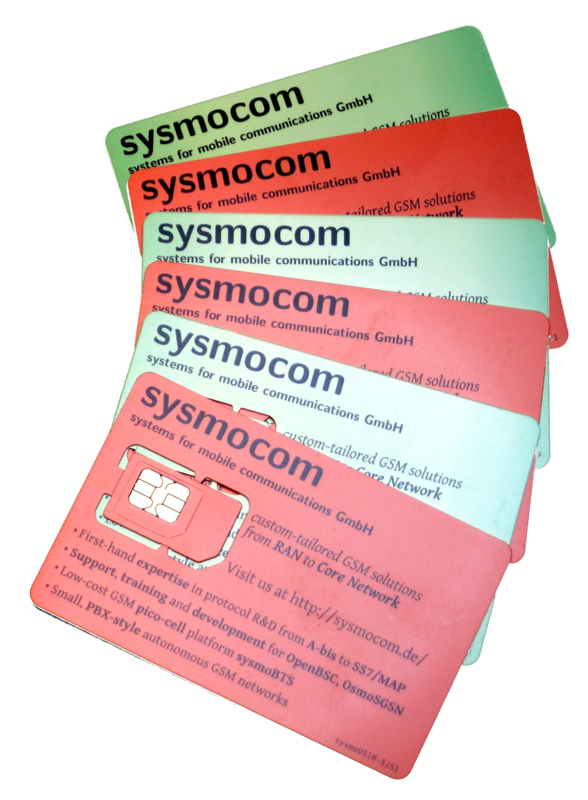 The sysmoUSIM-SJS1 is an ETSI/3GPP standards-compliant SIM/UICC/USIM card. It supports both the the 3GPP MILENAGE authentication algorithm, as well as the COMP128 family. The cards IMSI, ICCID, K and OPC values can be freely programmed/changed, if you purchase one of the variants including the ADM keys for the cards. The SIM card is primarily used with the Osmocom cellular infrastructure , but often also used with the OpenAirInterface LTE software or other celluler network implementations. For more information please refer to the user manual which includes a card specification as well as examples on how to use and re-program the cards. The GlobalPlatform specification is supported by this card allowing to build SIM Toolkit Applications. An easy to compile and loadable example is provided by us. We can provide additional development services for SIM Toolkit programming. Order the sysmoUSIM-SJS1 directly from our webshop in either the 1FF+2FF+3FF (micro) SIM form factor,or the 1FF+2FF+4FF (nano) SIMform factor For large scale orders we offer creating custom card profiles and printing. NOTICE: This product is for operators of public or private mobile networks and the research community. As a regular subscriber of mobile networks, you cannot clone another identity to this card, as you do not know the secret identity (K,OPC) of your original card!